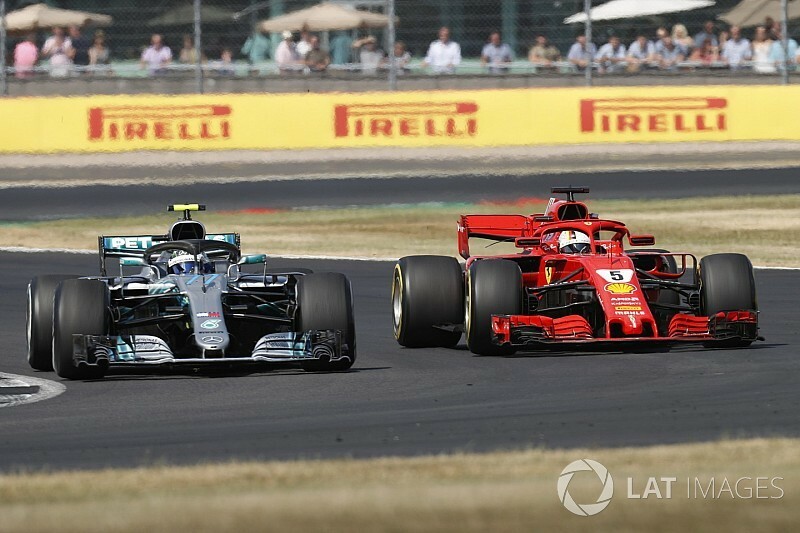 Sebastian Vettel says he had to “surprise” Formula 1 rival Valtteri Bottas to pull off the overtake that earned him victory in the British Grand Prix. A pitstop during a late-race safety car, caused by Marcus Ericsson's crash at Abbey, left long-time leader Vettel running second behind Bottas, although the German had the advantage of running fresh soft tyres against Bottas' worn mediums. 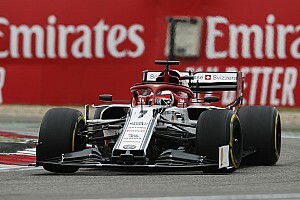 But Bottas rebuffed Vettel's attacks on the restart, and following another stoppage for a crash involving Romain Grosjean and Carlos Sainz, the Finn continued to hold his own out front – narrowly seeing off Vettel's attempts around the outside of Brooklands and Luffield. Vettel eased off for a couple of tours but then lunged down the inside of Bottas at Brooklands on lap 47 of 52, securing the win. 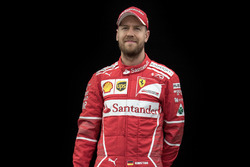 “It was quite intense,” Vettel recalled after the race. 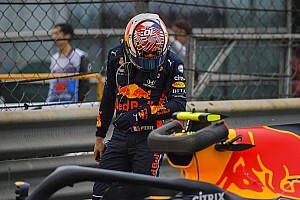 “Obviously I had the advantage on the tyres, but he had clean air, so in high-speed stuff I was able to follow but it was difficult the closer I got. “I sort of sniffed my chance already in the first laps after the restart out of Turn 4 [The Loop] and then on the Wellington straight down to Turn 6 [Brooklands]. 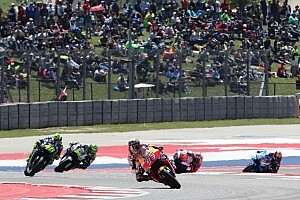 “The final move, obviously I was able to surprise him, I think he thought that I wouldn't dare [to go down] the inside and the braking zone was coming quite fast. ”I would've liked to be closer [exiting Aintree] but I wasn't, but I still thought it's good enough to have a shot, so I gave it everything. “I tried also the outside before, and he was very late on the brakes, and so was I, and I couldn't really go anywhere - so I thought 'okay, time to do that again, and I have to somehow surprise him. 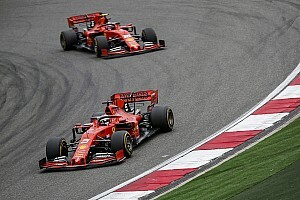 Vettel admitted he thought he risked overshooting the corner in making the move. “It felt great when I was side by side - I wasn't sure if I'd make the corner but I did," he added. 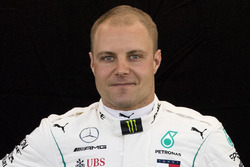 Bottas began to fade soon after Vettel's last-gasp manoeuvre, and would tumble down to fourth by the chequered flag – but the German has insisted he was in no position to bide his time.